On Oct 31st this year, PM Modi inaugurated the world’s tallest statue of the man who united India, Sardar Vallabhbhai Patel. It was a moment of pride and while many people were wondering if that statue was necessary, for me and many others like me, it was much needed to set the record straight – Mr. Nehru and Mahatma Gandhi did not win freedom for India from the British rule all by themselves. There were several other leaders who helped and Sardar Patel was amongst the tallest of them. Also at a time when there are forces at play trying to break up India, his statue is a great reminder of our unity. Rightfully, it has been named the Statue of Unity. Then just yesterday, on Dec 16th, another statue was unveiled …. that of Mr. Karunanidhi. And coincidentally, it was a day after the death anniversary of Sardar Patel and on the day that we celebrate “Vijay Diwas”. Bangladesh was created on Vijay Diwas after the Indian army thoroughly routed Pakistani army and emphatically won the 1971 war. 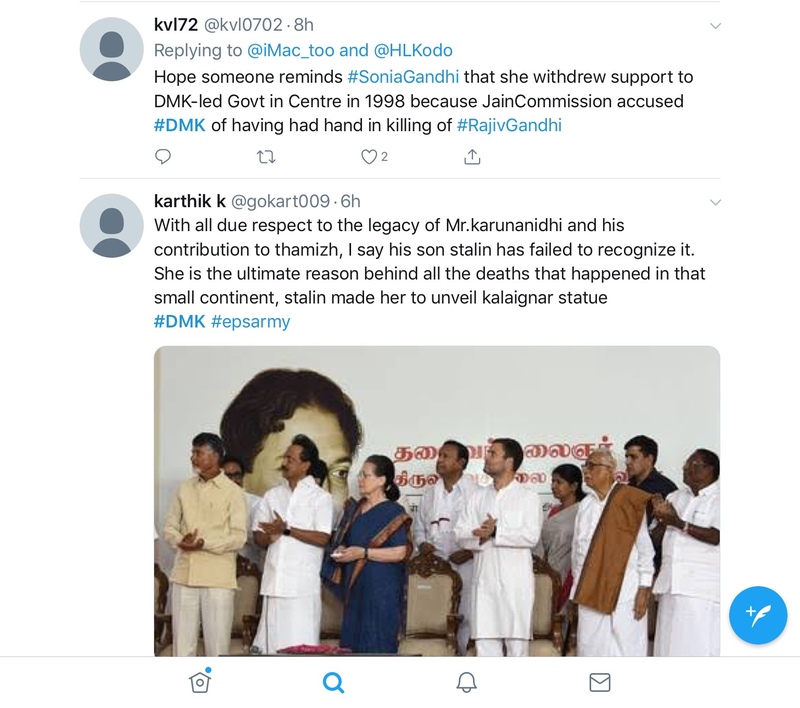 Mr. Karunanidhi’s statue was unveiled by Mrs. Sonia Gandhi, whose husband Mr. Rajiv Gandhi was killed by LTTE terrorists who were blatantly supported by Mr. Karunanidhi as the Jain commission claimed, just 20 years back. Is this what politics and hunger for power does to a person ?? Utterly disgusting ! In a way this is just the right tribute to Karunanidhi … the man who didn’t have much “Karuna” but lots of “Nidhi. 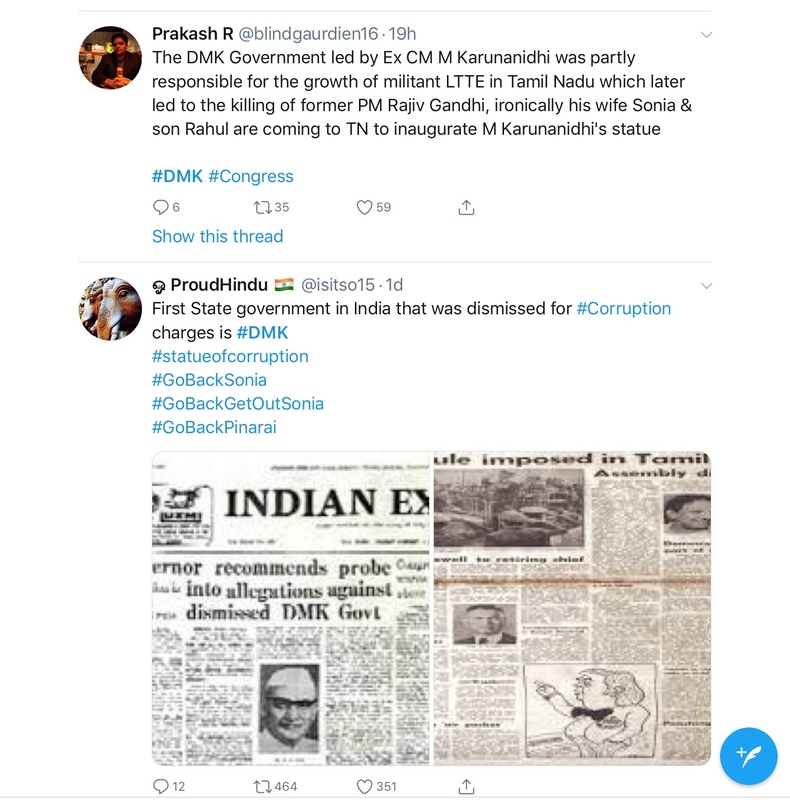 What a legacy – the first government to be dismissed in independent India for corruption and a statue for him by his son, who is named after the mass murderer Stalin. 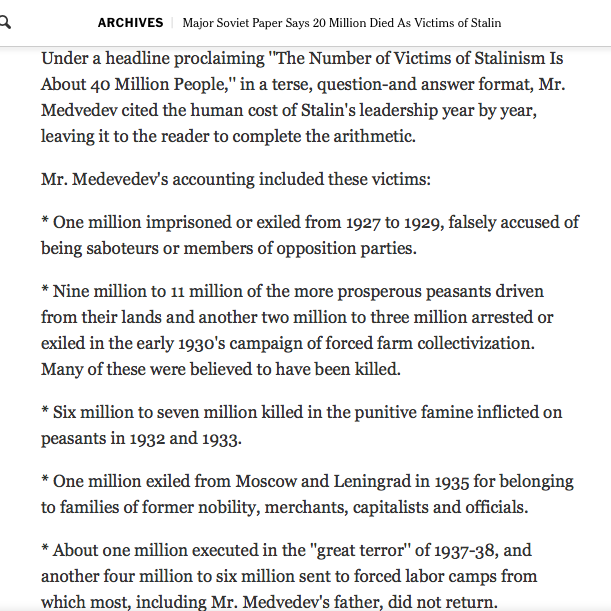 Just read this excerpt from a New York times article on how many millions were killed either directly or indirectly by Stalin and M K Stalin was named after this man by his father Karunanidhi for whom Joseph Stalin was an inspiration. This M K Stalin, named after the mass murderer Joseph Stalin has the audacity to call the Modi government as “Fascist” ! When will the voter wake up? When will the voter stop being gullible? Hoping my fellow citizens vote wisely in 2019.